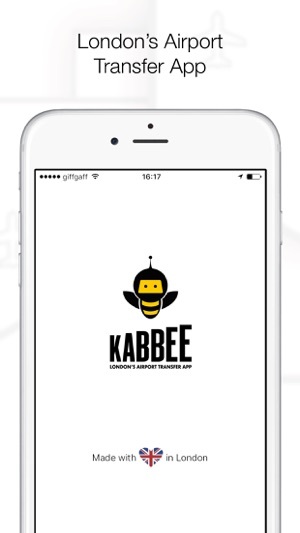 Kabbee, the made in London app for mighty minicabs! Surprisingly cheap rides whether you're travelling around town or you need an airport transfer. 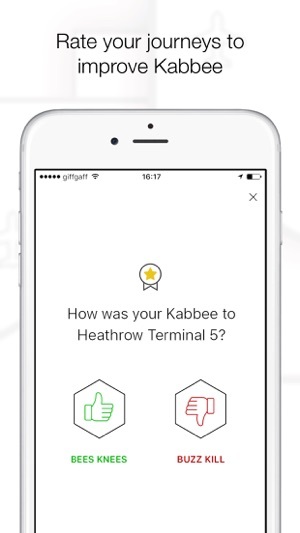 Kabbee selects the right cab for you from over 50 of London's finest fleets. 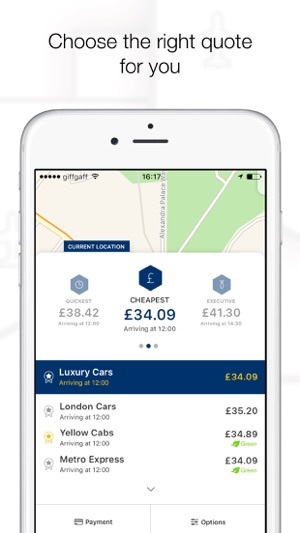 For airport rides, we’re 28% cheaper than Uber and 38% cheaper than Addison Lee. 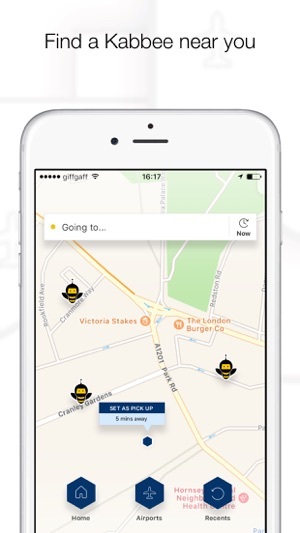 Book a cab for now or for the future with the option to pay by cash, card or pre-paid account. Say no to surge pricing and say yes to surprisingly cheap fixed fares. Say yes to Kabbee! Download the app today. We fixed a pesky little issue where sometimes the app wouldn't show all of your journeys. I used your service for the first time and am extremely disappointed! I booked a driver to collect me at Heathrow airport at 9:15am. I was instructed to wait at the information counter which I did. I was told the ride would cost me £31. I waited for 25min at the counter and during this entire time your app told me that the driver was stuck in traffic. At this point I was going to be late for my meetings so I cancelled the driver and ordered a Uber. I was then called by the cab company and told that the driver was waiting for me at the airport and that he had been there for sometime. They instructed me to find the driver and rather pay him in cash as I had cancelled on the app! Reluctantly I cancelled Uber and went back and eventually found the driver. Upon dropping me off at my apartment I was told the the trip was now £40 pounds and not £31 as I had ordered telephonically. I also had to pay an additional £4 for parking because the driver had come and parked at heathrow when I first booked the cab at 8:30am. To make matters worse I have now just noticed that I have still been charged for the full trip on my credit card. This means that the whole trip cost me £75 instead of £31. Needless to say if you are trying to build a loyal customer base this is not the way to do it. I have tried to email them to at least refund the money charged to my credit card and no reply. Shocking! 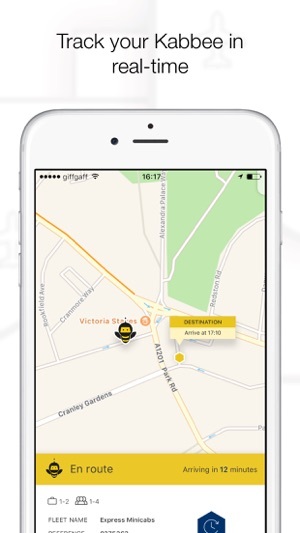 It is a wonderful app to save money and time on getting a cab (as long as its about 15-20 mins before you need it). The drivers have always been punctual and polite. The one downside is putting a credit card on the account... It's cumbersome and slow, and then couldn't authenticate for me!! But using cash is simple, and the way I prefer to pay anyway. Great app, definitely recommend! Tried it a year or 2 ago and was disappointed but have just tried again several times in the last month and have been very impressed, is a slick operation now!